Unusual pumpkin pie. The combination of pumpkin chiffon biscuit, pumpkin mousse with aroma of spices and gentle creamy souffle turns out very harmonious. Guests were satisfied! Cut off from pumpkin with special spoon balls for decor, slice or dice rest of pumpkin (for dough and и для pumpkin mousse), put in saucepan. 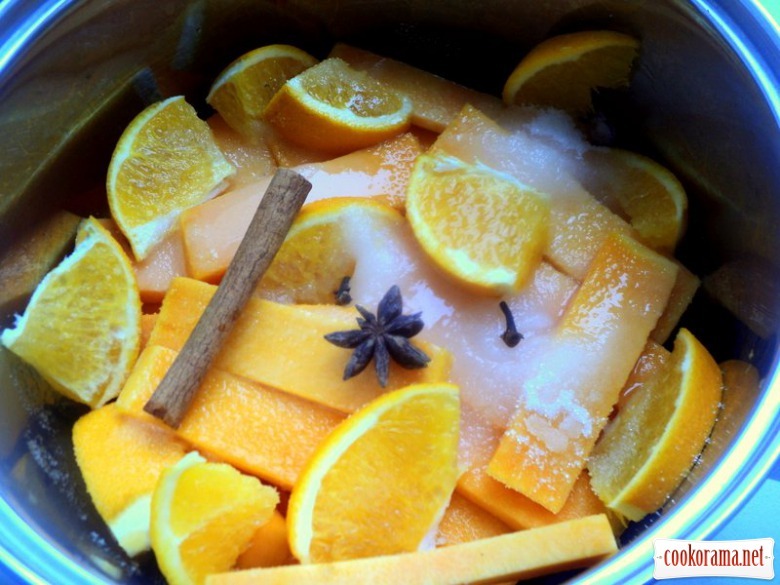 Add sugar, water, cut in pieces orange, cinnamon stick, cloves, star anise and boil for 20 minutes. 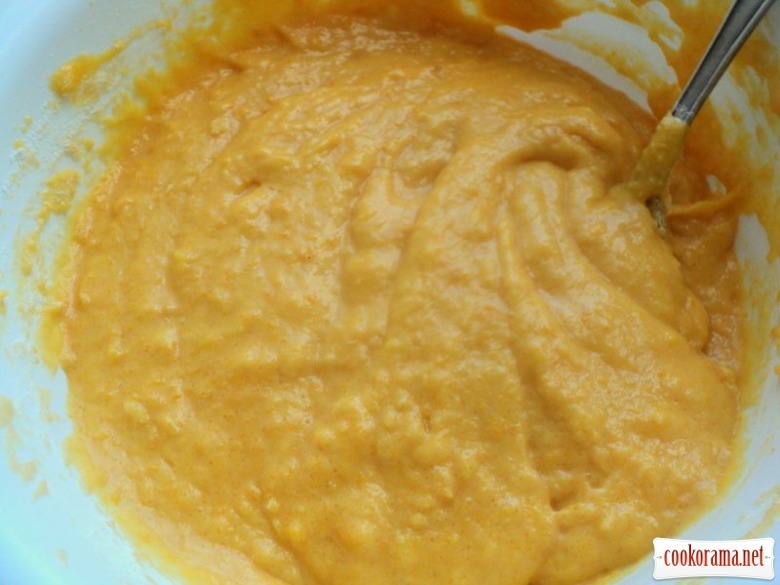 Then strain the pumpkin and grind in blender into puree. 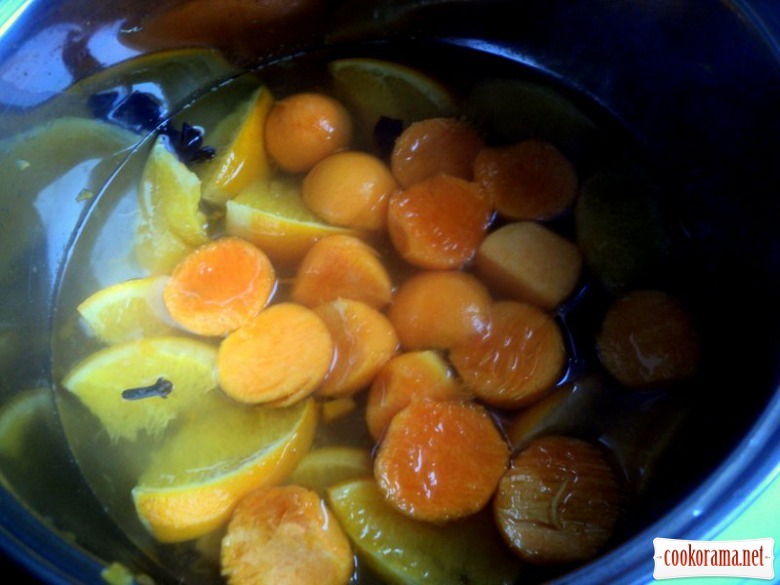 In the remaining flavored juice boil pumpkin balls for 5 minutes, then turn off the fire, add cognac and leave to marinate balls for 20-25 minutes. Then put pumpkin balls on a plate and cool, we need them for decor. 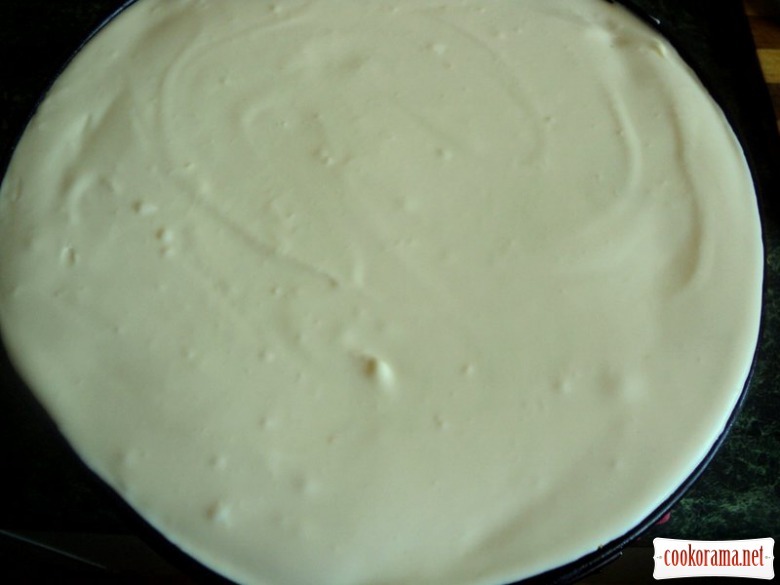 Stir flour, sugar, vanilla sugar, baking powder, sift three times. Mix whites into steep foam. Mix yolks, 250 g pumpkin puree, oil, lemon zest. Then, add in few portions mixed whites and stir from the bottom up by method of folding. Cover bottom of form F — 23 сm with baking paper. Do not grease the from, pour dough. Bake at 160 C for 1 hour. 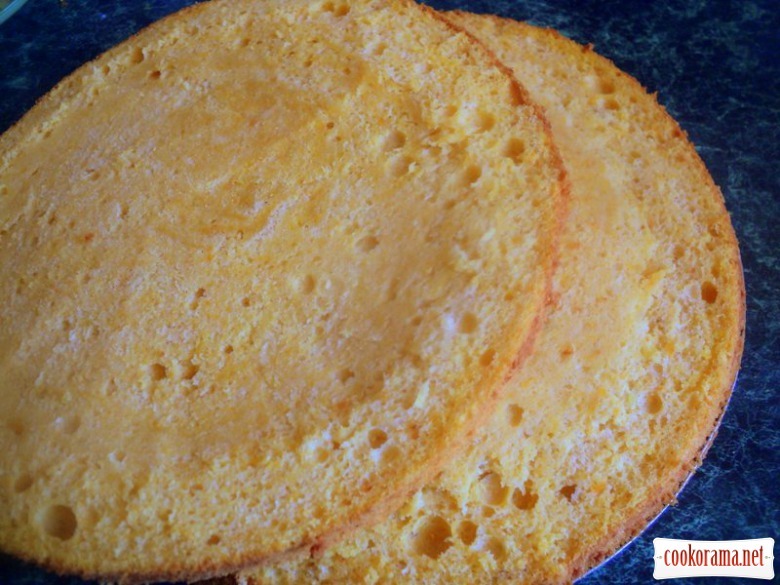 Cool biscuit in form on a grid, then cut off a thin layer of flat cake`s top (we need it for crumbs and sprinkling of cake sides) and cut in two layers. 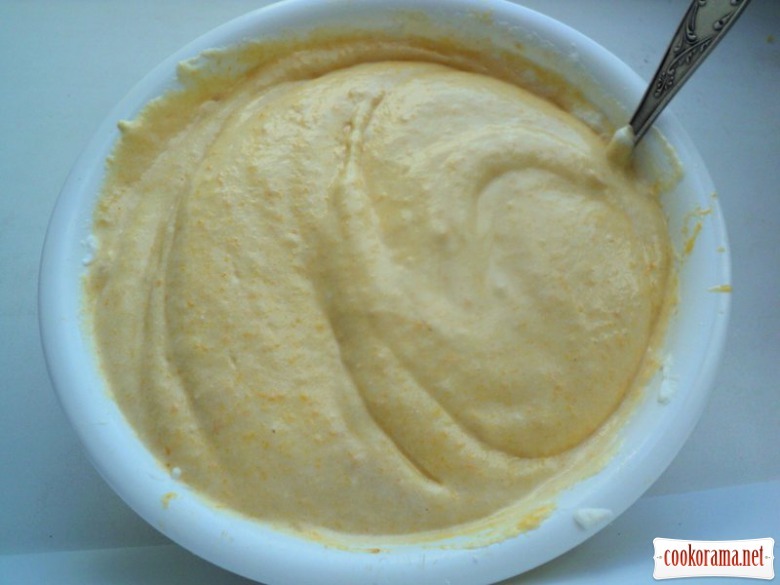 For pumpkin mousse: combine pumpkin puree and marinade, in which it was boiled. 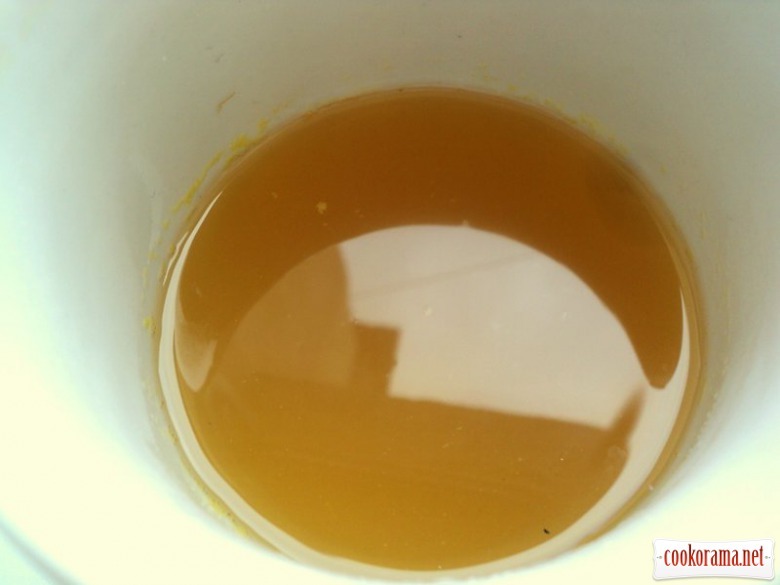 Pour gelatinwith 60 ml of water in advance, to swell and then dissolve in a water bath. 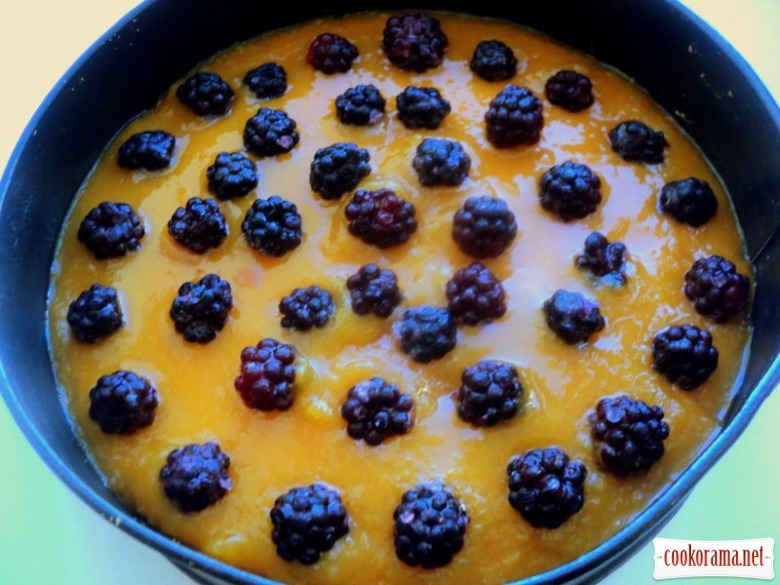 Add gelatin in pumpkin mass and mix well. 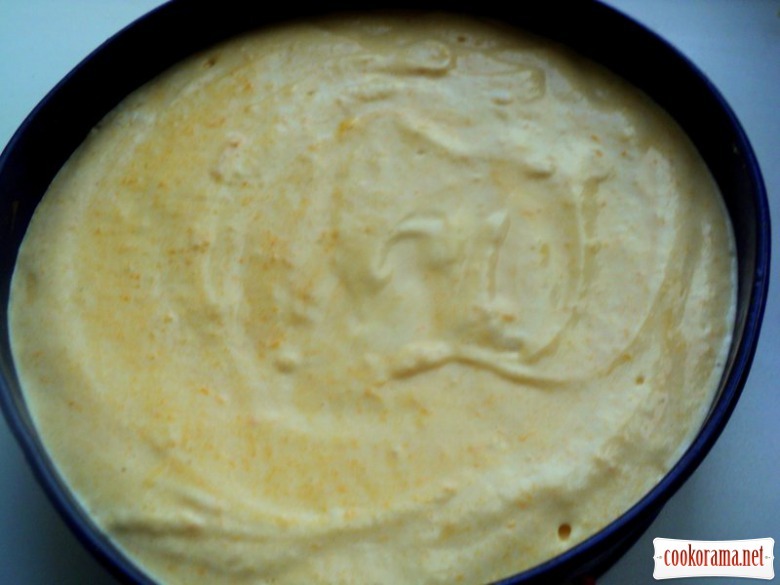 Put t the bottom of form one layer of biscuit, pour on top pumpkin mousse. Top mousse with blackberry (I got frozen blackberry). Put in the fridge for 15 min, to cool. 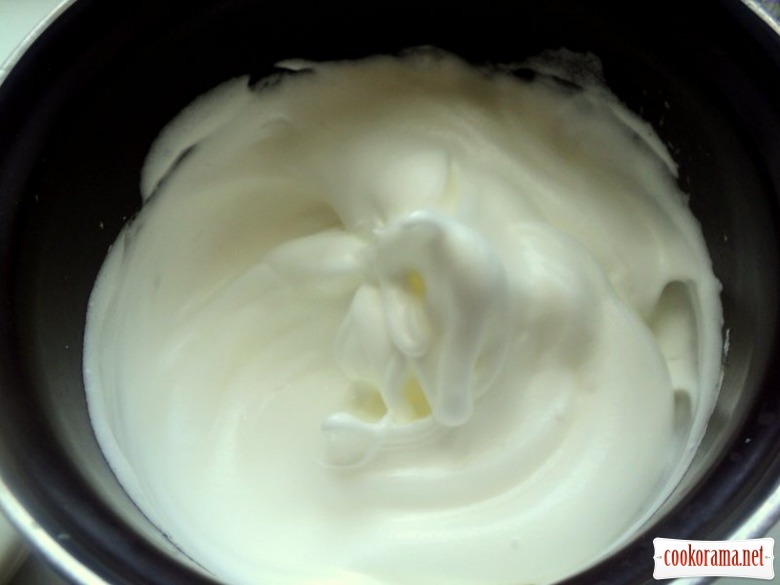 For creamy souffle: combine cream, yogurt, sugar, vanilla sugar and mix in lush cream. Constantly mixing, add dissolved gelatin (prepared as written above). 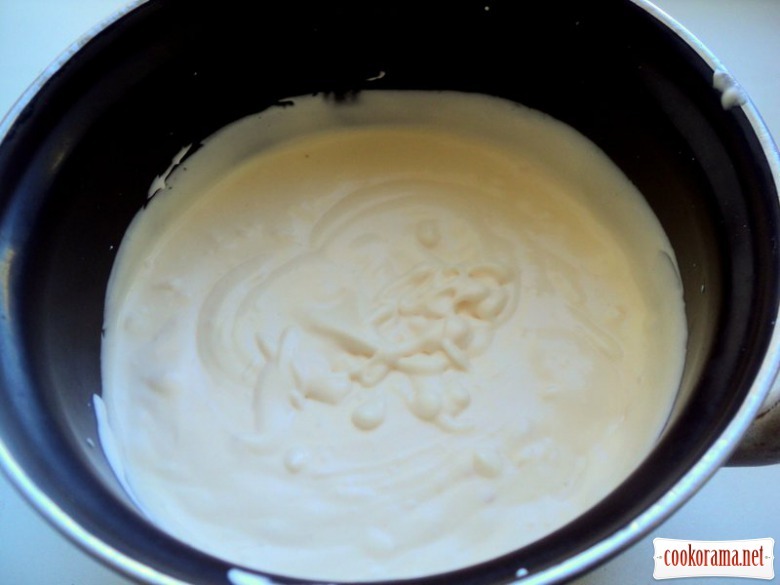 Put on pumpkin mousse 2/3 of cream. Then, second biscuit flat cake and rest of creamy souffle, spread it. 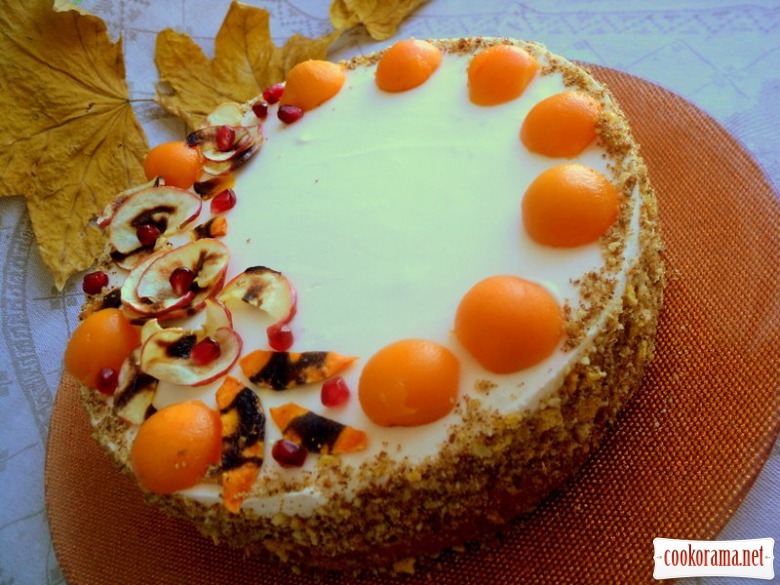 Put cake in the fridge for 4-6 h.
For décor prepare сhips from a pumpkin and apple. Slice pumpkin and apple thinly. 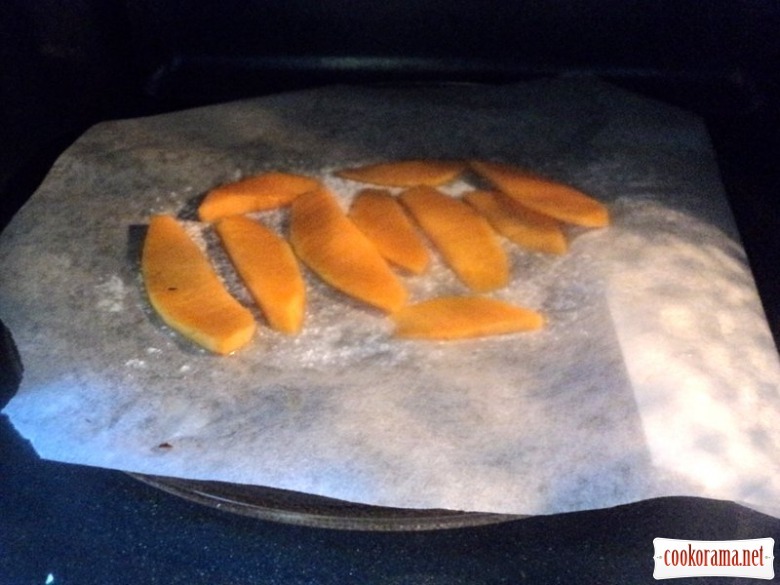 Grease baking paper with oil, spread on it pumpkin and apple slices. Cook in microwave for 2.5-3 min at maximum power. Sprinkle sides of cake with biscuit crumbs, in which you can add crushed walnuts. Decorate cake with pumpkin balls, flowers from pumpkin and apple chips, blackberry. 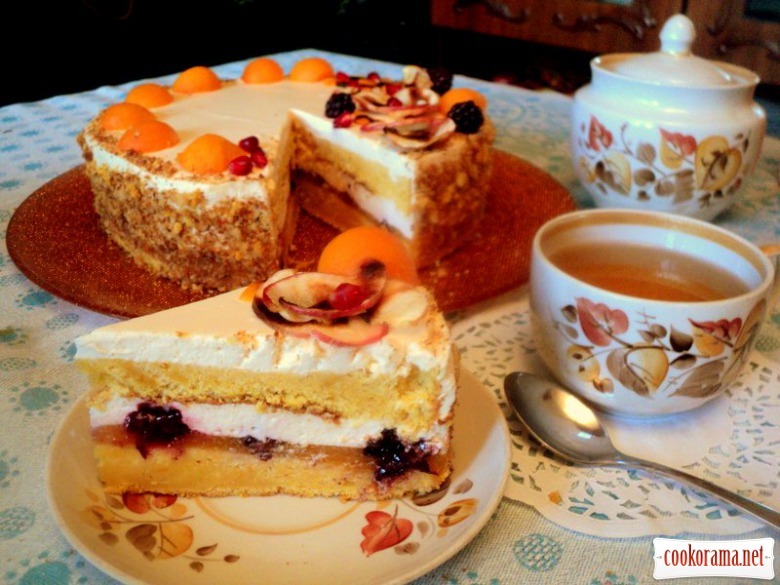 Top of recipe "Cake "Autumn Blues""
Мила, у Вас всегда такие торты интересные, прямо идеальные, Вы случайно не кондитер по профессии? Спасибо за отзыв! Я по профессии инженер-строитель, проектировщик, а кулинария и, особенно выпечка, мое давнее и любимое хобби! Хоббі чудове як і торти!! Дякую, Леся! Осінь гарна пора, навіює ліричні думки! 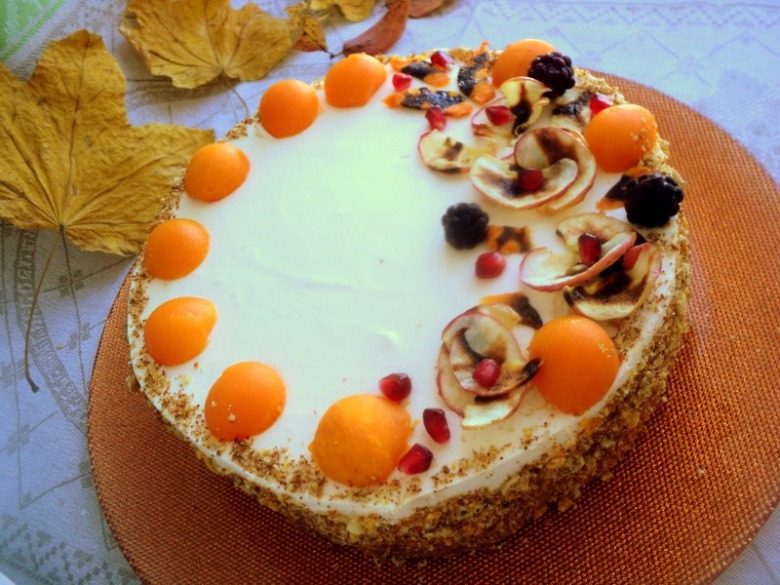 Recipes, Cakes, Cake "Autumn Blues"